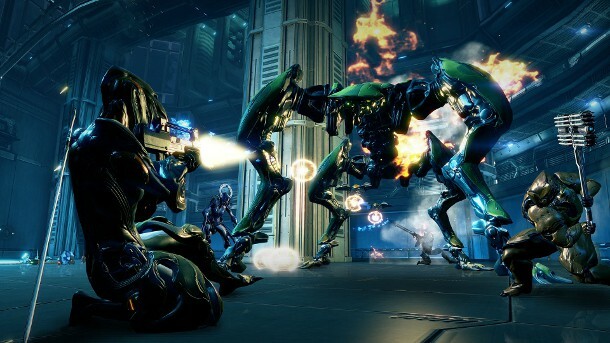 Earlier today Digital Extremes announced the next batch of content for the critically acclaimed next-gen releases for the AAA free-to-play MMO, Warframe. A launch title for Sony’s PlayStation 4 and the first free-to-play game released under the ID@Xbox self-publishing program, Warframe continues its successful PC habits with regular content updates across its array of platforms. Update 14.5 is now available on the PlayStation 4 and Xbox One. It introduces the improved Mod card system, brand new upgrades and a new system that allows players to compare their Warframe builds with other members of the community. A brand new game mode, Excavation, is also available and will eventually replace all of the current missions using the Survival objective set. The team at Digital Extremes have summarized the latest update in an exciting new feature reveal trailer, check it out!